As a confirmed bibliophile I never shy away from looking at booklists. In fact I have collected a number of recommended Catholic Book lists over the years, One of my favorites is by Fr. John McCloskey his 'A Catholic Lifetime Reading Plan'. 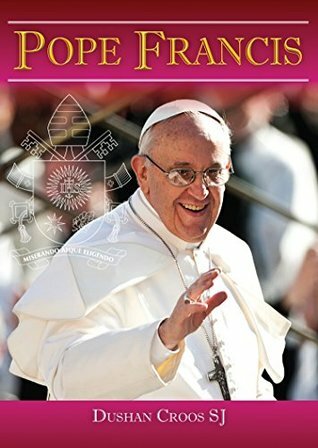 So when I came across this book while researching a different title from the Catholic Truth Society, I had to take a look. But this book is much more than just a list. This book was created by compiling data from 25 contributors who each listed their 10 favorite books, that would enrich and nourish their Catholic and Christian faith. One of the things they did in compiling the book, is if one of the books is out of print at the time of publication it was marked with a (P). But the list also contains a brief summary of the book, a paragraph or two per book. "Ever wanted to get hold of some really good fiction, biography, history or general spiritual reading to broaden your mind and support your Christian faith? Apart from suggestions from a colleague or friend who knows it all, how can you make a systematic and informed start? 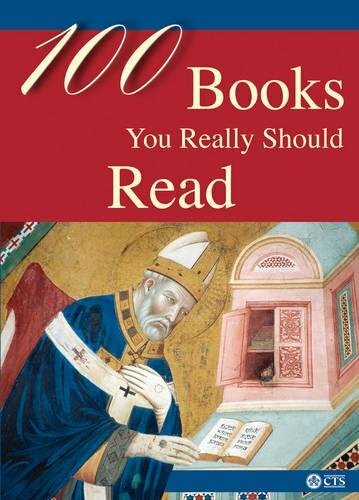 Well, here it is: a listing and brief review of 100 good books you really should read. Title and author details are followed by a summary of the book and recommendation as to why you should read it. You can search by title or author. Ranging from great classics to more modern works, this little guide will get you reading!" I have read books by a few of these contributors and would have loved if we had the list of 10 each contributor had submitted, but then the list would have been 280 books long, and not been the great little volume we have available now. This is a great book. I really enjoyed reading the summaries of the books, even those I had already read. This book is an excellent resource and give it my highest recommendation! 15. Now Is Your Time! After the last book I reviewed by Matthew Kelly a reader reached out to me and asked if Kelly was just a Catholic version of Max Lucado. I thought about that for a while, when I was involved with non-denomination campus ministries I read a lot of Lucado. Eventually I stopped because it all felt the same. It came to feel like Lucado just continued to present variations on a theme without having much real new content. And I feel the same way about Mark Batterson. But with Matthew Kelly I have not felt that at all yet. 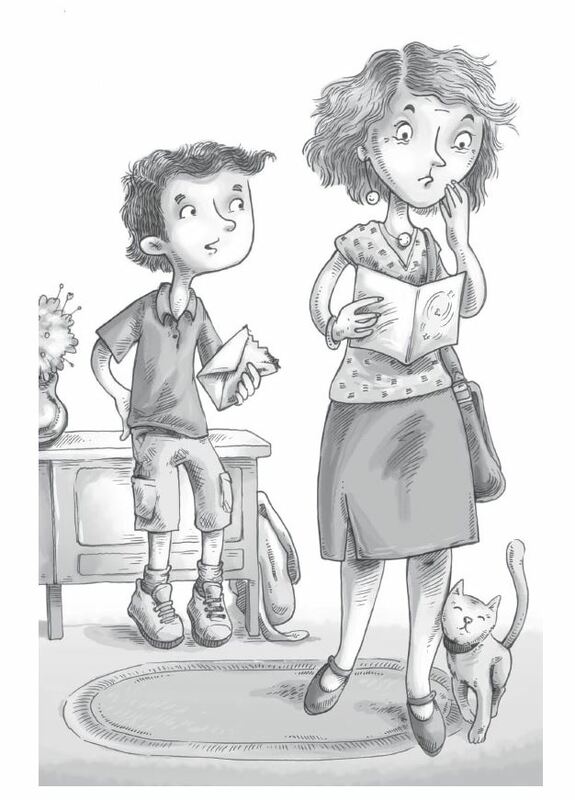 Yes Kelly writes with a great deal of passion, and he does sometimes use the same illustrations. And his catch phrase: 'Becoming the best version of yourself' appears often in his writings. 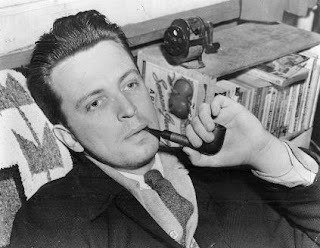 But even with all of that with each new book by Kelly that I read I have a renewed interest in reading more of his works. Every time I finish one I go and pick one I have not read and add it to my to be read pile. "Transforming people one at a time is at the heart of God's plan for the world. It is also essential to developing dynamic marriages, loving families, vibrant Christian communities, thriving businesses and economies, and extraordinary schools and nations. If you get the man right (or the woman, of course), you get the world right." happiness in a changing world. The world is always changing; we cannot control every situation. Situational happiness is easy. It is easy to be happy lying on an exotic tropical beach all day for a week. But so much of this happiness is dependent on the situation. What we are really hungry for is a happiness that is independent of the situation." Happiness and pleasure are not the same thing. Getting what I want doesn't make me happy. Focusing on myself almost never leads to happiness. I am never happy when I pretend to be someone I am not. Too much of the happiness I experience is dependent on unsustainable circumstances or situations. The more I help others in their quest for lasting happiness, the happier I seem to be. Lying never makes me happy. Happiness is always found by embracing the present moment. Anything that helps me become a-better-version-of-myself makes me happy, even if it is difficult or painful. And he shows us that the way we find true happiness is by pursuing answers to four questions. here. Humanity's ability to deceive itself knows no limits." 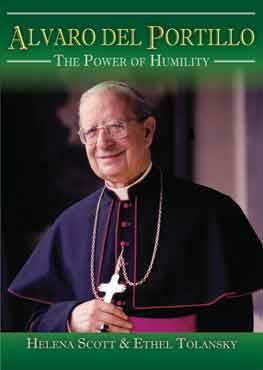 "Whenever and wherever Christians have taken the idea that holiness is possible seriously, Christianity has thrived. 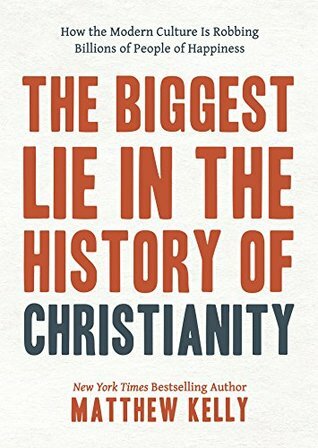 Whenever and wherever the biggest lie in the history of Christianity has prevailed and everyday holiness has been set aside, Christianity has fumbled along clumsily with limited impact or become stagnant." "I don't like alarm clocks. Just the name disturbs me. Who wants to start the day alarmed? But when you check into a hotel, they often ask you if you would like a wakeup call. I like that. We all need a wakeup call from time to time. I needed one last year. Maybe you need one right now. It is just so easy to fall into the mode of sleepwalking through life." I hope that those few quotes will help you appreciate some of the message that is in this wonderful book. Of all the books I have read by Kelly this is the best so far. I highly recommend it. "Lord, you are my strength and my guide. Grant me wisdom and understanding. to enjoy this day you have given me. and not to give up if things seem difficult. 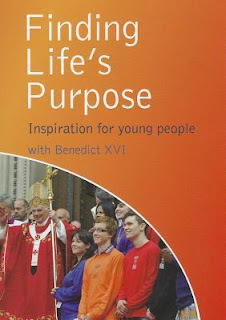 I first encountered this prayer in the book Finding Life's Purpose: Inspiration for Young People, I have been praying it daily since I read the book. Often more than once a day. It is a wonderful little prayer. Especially with all that is currently going on I believe this is a prayer we could all use in our life daily! 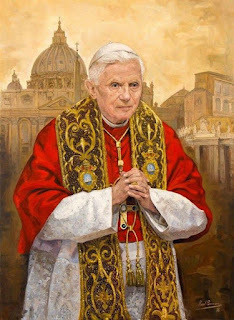 Pope Benedict XVI pray for us. I have been a fan of Sally Murphy's works for a half dozen years now. The problem is, is that, many of them are not available in North America. When I came across this one, I was very excited that the eBook edition was available in Canada at the same time the physical book was published in Australia. In the three books I have read by Sally Murphy she has a way or penetrating to the heart of a matter. And this book hits on the hearts mark. "Looking Up by Sally Murphy is a moving story about family, forgiveness and the stars. Pete lives with his Mum. His dad lives far away and, as far as Pete knows, that's all the family he has. Until one day, just before Pete turns ten, a birthday card arrives in the mail with stars on the front and signed 'Love, Grandad'. Mum reveals the card is from her own father, but when she won't give Pete more information he decides to locate this mysterious Grandad for himself. 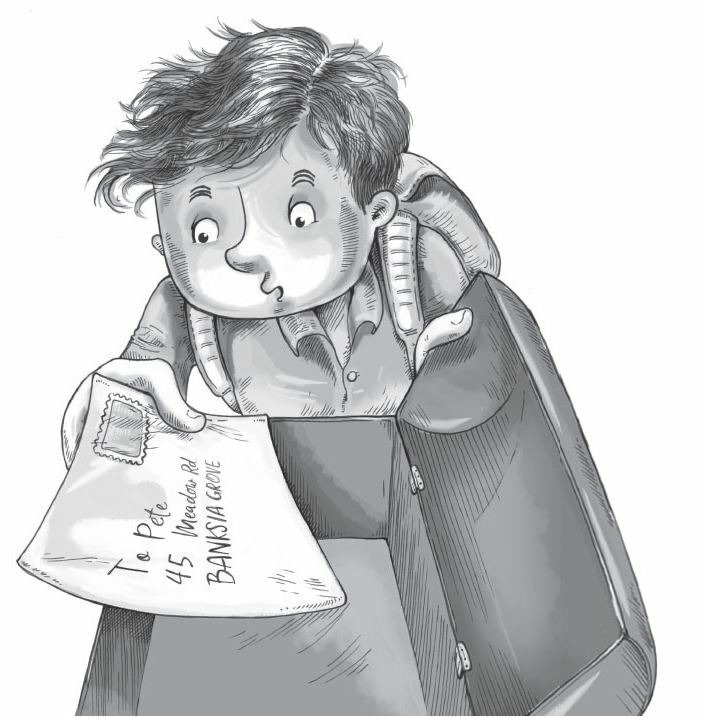 Pete and his best friend Tyler use the phone book to find Grandad and even visit his home. When Grandad insists they need Mum's okay to meet, Pete spills all to Mum." It is not a long book, and it has wonderful illustrations by Aska. But it is the story that has the most impact. 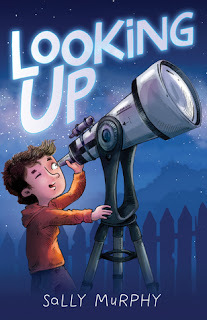 Pete has loved the stars his whole life, and all he really wants for his birthday is a telescope. But days before his birthday the mysterious card appears, addressed to Pete, and he never gets mail. The writing he does not recognize, and when he reads the card and it is signed 'Grandpa' it sends his mind reeling. So, he decides to take matters into his own hands. And that is when he slowly learns the whole story. This story captures what a child can feel and experience in the middle of struggle between adults. It also captures what happens when people say things in pain and hurt, and those issues get left unresolved for years. It shows how we can make mistakes in our grief, mistakes that will haunt us for a long time to come. This book is masterfully done. It is just so sad that we need books like this. Another excellent read by Sally Murphy and as mentioned the illustrations by Aska are wonderful. 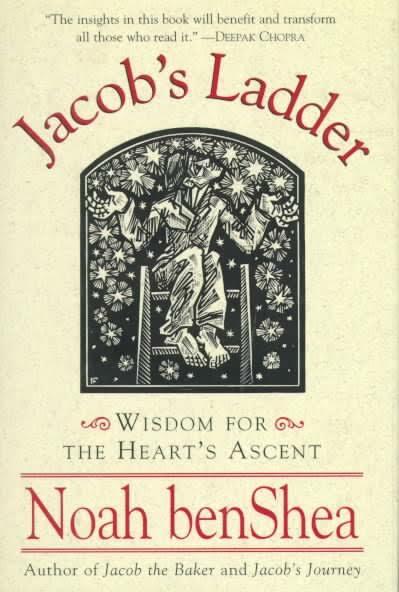 The book Jacob's Children is an incredible read. But before I get to it let me give you some back story. Jacob the Baker has been a part of my life for the better part of two decades. 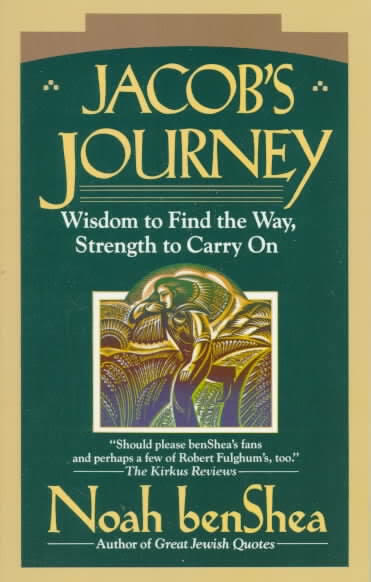 My introduction to Jacob was during a retreat at an inner city church in Toronto. 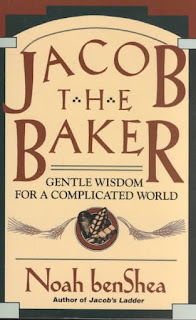 A masters of theology student, who had formerly been a street person, read us a few sections from the Jacob the Baker book. This man spoke about the ministry of Sanctuary within the inner city community; soup kitchen, clothing exchange, drop in centre, and just out and about on the streets. Jacob immediately spoke to me. 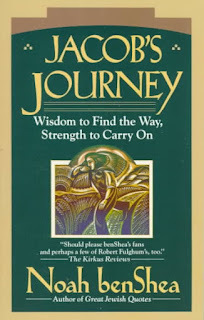 While still in Toronto I tracked it down in a used book store and found the second volume Jacob's Journey, and found out about the third Jacob's Ladder. I have read each of these books many times over the years. 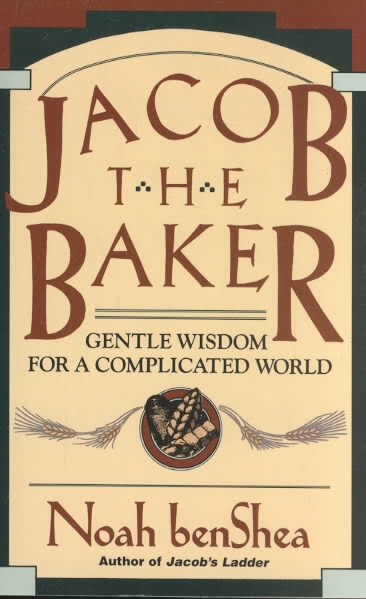 Jacob the Baker was the first book I ever read to the woman who is now my wife. We have each read all three books many times over. I read these three books at least once a year. I have read this book through three times now, and it is incredible. My wife and I have been married 13 years and she has only seen me cry twice, I do not produce much in the way of tears, but I cried twice while reading the book. "In gratitude," said Jacob, "find prayer. "In prayer find faith. "In faith find grace. "In grace find peace. "In peace find gratitude." "When you can't change events, change you." "Prayer isn't supposed to make you feel better but be better," said Jacob. "No," said Jacob. ""Most of us don't lack for information. What most of us lack is the character to act on the information at hand." 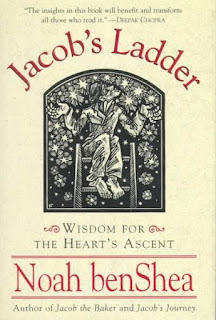 "We are not in charge of what the world delivers to our door," said Jacob. "We are in charge of our response." "And our work in this life is not what we do but who we are." "The greatest opportunity in life," said Jacob "is daring to be the person you might yet become." 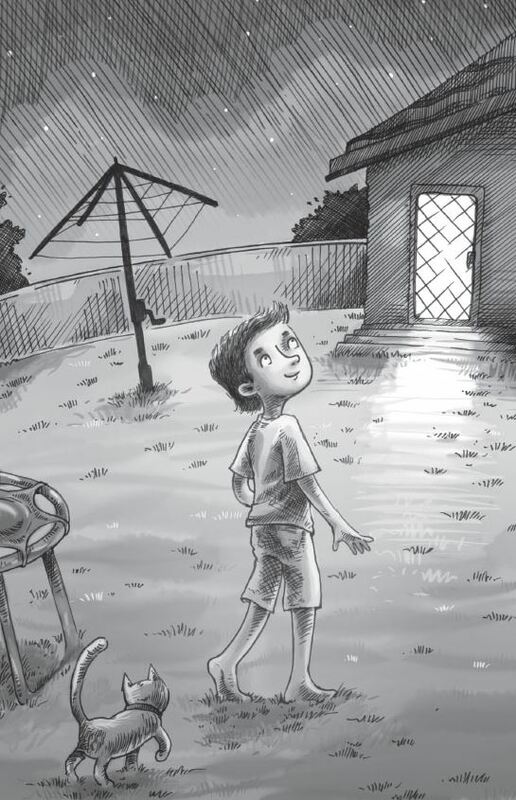 This book like the whole Jacob series will help you look at the world in a new way. But it does that by helping us look at ourselves, and really see what is there. For only once we are open to who we are, can we really start working towards becoming who we can be we need to be honest about who we are. Jacob helps us see who we are but also have compassion on ourselves. This book is simply incredible. I love the whole series; I reread them every year and have now started reading them with my oldest child. I believe that anyone can become better at being from an encounter with Jacob. As such I highly recommend this book. It has been a long week. In some ways a very long week. I am sitting here and feeling tired and sore. And am tired of being tired and sore. A lot of it is problems of my own making. Last week I missed Sunday obligation for the first time in a long time. Saturday, we had company, and then Sunday evening my wife ended up being out. I sort of felt it all week. Like something nagging at the back of my brain, but unable to remember what it is. That is what my week felt like. The second part is about my health, I know I would feel better if I got back to being gluten free, but after falling off the wagon it has been very hard to get going again. Every day it feels like a new start, and then I give in and say tomorrow. The last factor is my weight. I have slowly been gaining back weight that was shed several years ago. I am not back to my highest weight but much higher than I like and between the weight and gluten I have been having a lot of issues especially with my ankles and knees. And so it is time for personal renewal and commitment. To refocus spiritually, and physically. To work on developing personal discipline in mind, body and spiritual development. Jesus is the key to life and I need to give it all to him. As always I am praying for you and ask for prayers. 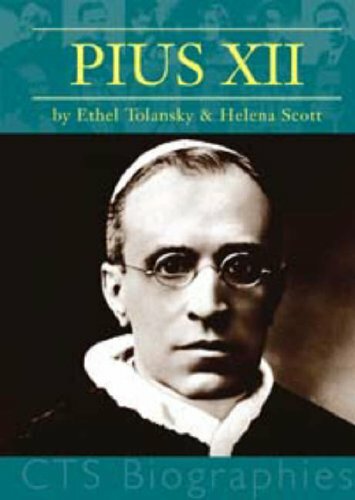 Three Great Catholic Writers That You Might Never Have Heard Of! I have a habit of coming across writers, falling in love with their works, trying to track down all of their works. The three authors featured in this piece are writers I consider to have exceptional skills. But other than powers most of their works are out of print, and proving hard to track down. I will give some brief information on each of the authors, and provide links to any reviews I have written, and I strongly encourage you to track down some of their writings and sample them for yourself. I am going to present the authors in the order I encountered them. My introduction to the works of J.F. Powers was a short story The Warm Sand, it was a story that really stuck with me, in fact I stated that it haunted me. I wrote about this story and eventually tracking it down again here. It stuck with me and once I found out it was part of a larger story I devoured the works of Powers. I was so intrigued by the works of Powers that in my final year of university I made arrangements to do an independent reading course on his life and his works. 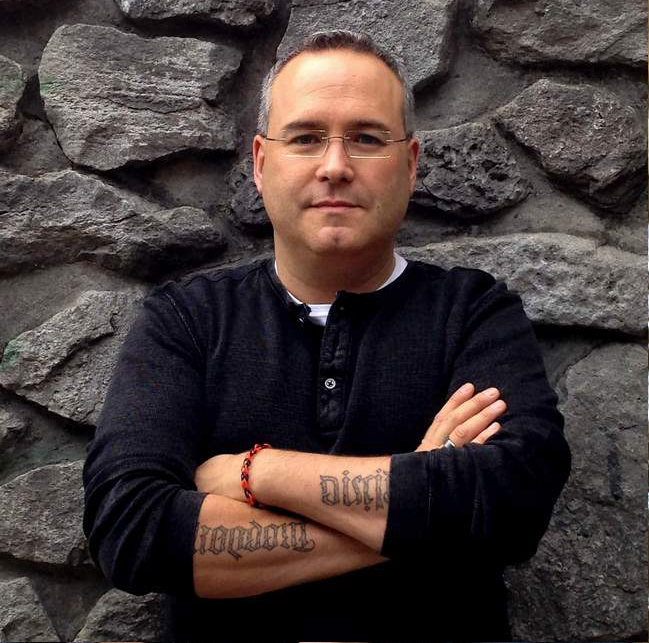 He published 2 novels 25 years apart, and both won the National Book award. He also published 4 collections of short stories with some overlapping stories. Currently both his novels and a collected volume of stories and available in print and electronic formats. In a previous essay I quoted Joseph Bottum who stated that J.F. 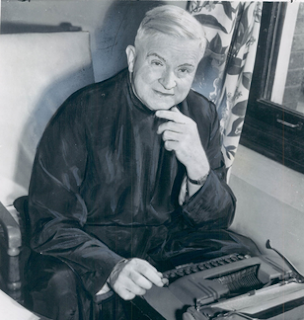 Powers was: "'The greatest Catholic Writer of the 20th Century'. Up until encountering the following two authors I would have agreed, now I consider the three of them excellent and could not pick a favourite. I first encountered the writings of Alice Curtayne through an eBook of Twenty Tales of Irish Saints. I immediately loved it and started researching the author and her works. The hard part is that many of her works did not have North American printings, and all but 2 are currently out of print. I believe she wrote 23 books and 10 booklets. 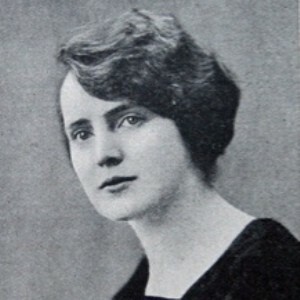 Her booklets were published for the Catholic Truth Society and other publications. Of the 33 works I have identified to day I have been able to track down 17, and have read and reviewed 9. He writing about saints is masterful. And her collections of short stories about Irish Saints are wonderful, and loved by my children and I. The rest of her works are not available in Canada through inter library loan. So I am slowly working on purchasing scanned copies from libraries in Australia, Ireland, England, and Scotland. One book I have tried to purchase used three times, the first was the wrong book when it arrived, the second time it disappeared in the mail, and the third the book seller cancelled because they could not find it after it was ordered. Everything of hers that I have read is excellent. A priest and author posted about Daniel A. Lord and piqued my interest. 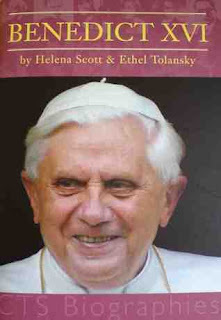 My first foray into his works is a booklet called I Don't Like Lent, it is simply brilliant. I read it three times this past lent, and have sent a download link to numerous friends. In the introduction to his autobiography Played by Ear I was astonished to read: "He wrote exactly thirty adult books and twelve booklets. His pamphlets must number nearly three hundred. He wrote forty-eight children's books. He wrote twenty-five plays, twelve pageants, three musicals; and he published five separate musical compositions, not to mention the tunes incorporated in his pageants, some written in collaboration with others." If Powers is known by the sparseness of his published works, Lord takes the cake for his prodigious output. Currently all of his fiction seems to be out of print, as well as his booklets. But 45 of his pamphlets are available electronically on Kindle. 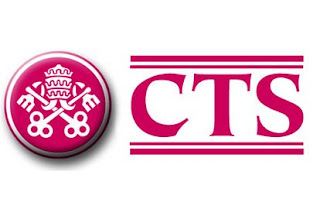 And numerous are available through The Australian Catholic Truth Society Archive. From what I have read to date, his works like the authors above are well worth tracking down. So there you have an introduction to three great Catholic authors, leave a comment with who you would recommend. My to be read pile is so high now there is no harm adding to it. I can read ANYTHING!? All right! - then read THIS! "Angelo Roncalli, intelligent, modest, joyful and from the humblest of origins, became Pope aged 78. 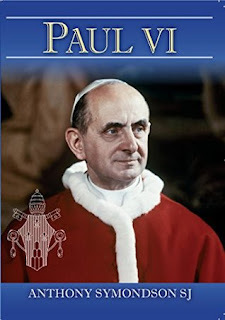 Yet his short papacy (1958-1963) inaugurated the most significant event in Church life for centuries: the Vatican Council II. 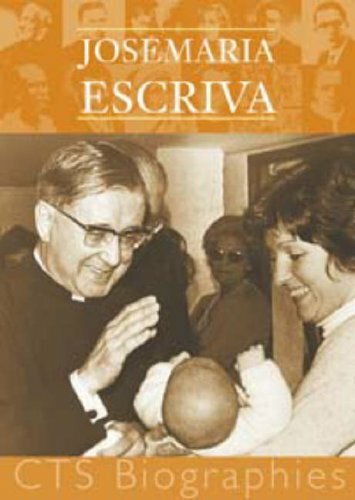 The moving spiritual journey told here - his ambitions and failures, his family and the years overseas as a papal representative - reveal the gentle heart of a true pastor." "In 1933, he wrote in his Journal, 'My prolonged mission ... in this country often causes me acute and intimate suffering. But I try not to show this; I bear and will bear everything willingly, even joyfully for the love of Jesus in order to resemble him as closely as I can. ... these people so simple and good, but also so unfortunate!' The promises that his time there would be short were not fulfilled." And I believe that is the great witness of this man, this pope, this saint. That we bear everything willingly and with joy. That we strive to live as Jesus, and that we live for others. This biography will encourage you in your faith and challenge you. 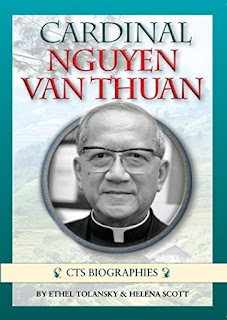 It is another great read from CTS and one of the best in the CTS Biographies Series. 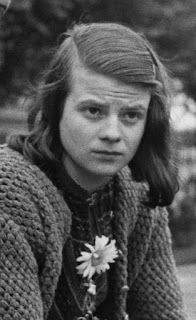 Sophie did not look her 21 years when she died on February 22nd, 1943, but she was committed to her faith, and to the work opposing the Nazis she was involved with. The White Rose was started by her brother and as soon as she realized his involvement she was committed to the work they were doing. 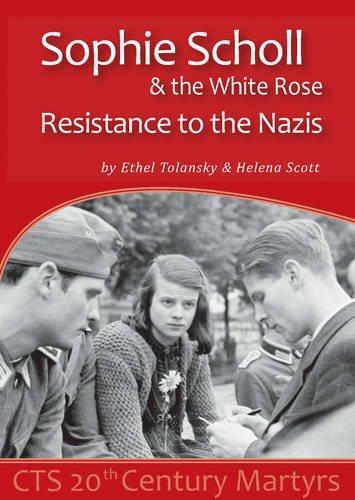 These young people saw the injustice of the Nazi movement and worked to stir the conscience of their fellow country men. They died for writing and distributing pamphlets. The three, Sophie her brother Hans and their friend Christoph were tried and beheaded for their efforts. To read about their bravery and courage knowing the risk they were taking is a challenge to our own faith. How can we read stories like this one and not be inspired and move to live out faith more. "From my point of view, no. I believe I have done my best for the nation. I do not regret my conduct. I wish to fully accept the consequences of my actions." "Today there are over 190 schools in Germany named after Sophie Scholl, as well as many streets and squares." But after reading this book I am sure should would rather that peoples hearts are inspired and their lived transformed buy the same Holy Spirit that fortified her. This book is the first about a 20th Century Martyr from CTS that I have read, but I will be tracking down more. This is an excellent read and I highly recommend it.